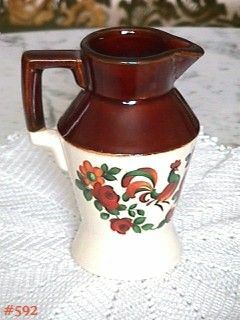 This listing has a mint condition 5 1/2" tall pitcher from McCoy's pretty Yorkville line! Pitcher is marked on bottom: 335, McCoy, USA, 11. Items from the Yorkville line are becoming more difficult to find.